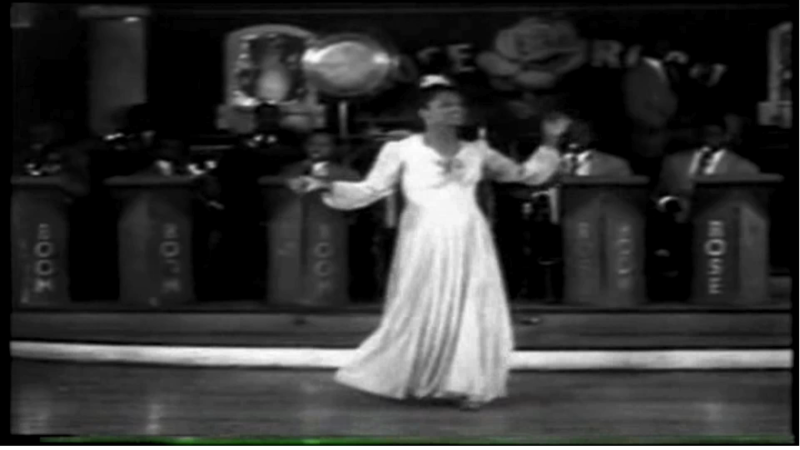 Female Impersonator Jean LaRue with the Red Calhoun Orchestra (from "Woman's a Fool to think her man is all her own" -- Nationwide Production, 1947 -- available from ACinemaApart.com) Not the Jean La Rue that Clarence Tenpenny told me about. La Rue seems to have been a popular stage name for female impersonators (i.e. the famous British entertainer Danny La Rue).